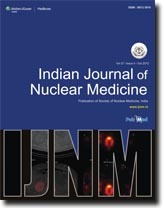 Purpose: The aim of this study was to evaluate the role of positron emission tomography-computed tomography (PET-CT) and magnetic resonance imaging (MRI) in characterization and pre-operative staging of soft-tissue sarcoma (STS) and correlating with operative and histopathological findings. Materials and Methods: Twenty patients (age range 16-72 years [mean 44.4 years]) with resectable and STS were included in this prospective study. Pre-operative MRI was carried out in all patients with acquisition of T1W, T2W, and short tau inversion recovery (STIR) sequences in appropriate planes. Contrast enhanced MRI was performed in four patients. Whole body PET-CT was performed in 13 patients. Demographic data, clinical features, pre-operative imaging analysis, operative, and histopathological findings were analyzed using SPSS software version 11.5. Results: The most common histologic type was malignant fibrous histiocytoma (MFH) (30%). Of 18 STSs 20 were high-grade. Agreement existed between MR and operative size. MRI had 100% negative predictive value (NPV) in predicting neurovascular bundle involvement. However, positive predictive value (PPV) was 33%. MRI had PPV of 20% while PET-CT had 50% PPV in detecting lymph node involvement. Overall staging accuracy of MRI was 75% when correlated with surgical and histopathological findings. Combined PET-CT and MRI staging, in 13 patients, was better (92.31%) when compared with staging with MRI (84.62%). Specific diagnosis on image characteristics was correctly suggested in 35% patients. Conclusions: MRI is the robust modality in local staging of STSs and PET-CT adds greater accuracy to overall staging in combination with MRI. Introduction : Neoadjuvant chemotherapy (NACT) is an essential part of multi-disciplinary management of locally advanced breast cancer (LABC). In this study, we aimed at evaluating the role of Tc99m-Sestamibi scinti-mammography in assessing response to NACT in patients with LABC. Materials and Methods: A total of 42 patients of histologically proven LABC were enrolled in this prospective study. Imaging was performed according to pre-defined protocol at 10 min and 4 h after injection of tracer before the start of chemotherapy, 48 h after start of chemotherapy and at the end of chemotherapy. Quantitative parameters were obtained by calculating the ratio of activity in a region of interest (ROI) drawn over the tumor and the same sized ROI drawn in corresponding location in contra lateral breast. Results: At the end of chemotherapy, 6 patients achieved complete response, 25 achieved partial response, 11 had stable disease. Various retention indices calculated at baseline, 48 h after first cycle of NACT, and at the end of chemotherapy showed statistically significant difference in responders and non-responders. By using 84.05 as cut-off point for retention index (RI) of tumor calculated 48 h after first cycle of NACT (RI 2) the positive predictive value and negative predictive value, were found to be 41.9% and 72.7% respectively in differentiating responders from non-responders. Conclusion: Early response assessment in patients with LABC to NACT with Tc99m-Sestamibi scintimammography is feasible and if confirmed by further studies can find routine clinical application in differentiating responders from non-responders. Background: To study the utility of lymphoscintigraphy in detection of lymphatic obstruction in patients with leg swelling of unclear etiology, selection of site for nodo venous shunt procedure, and follow-up lymphoscintigraphic documentation of improved lymph flow in surgically treated limb. Materials and Methods: Twenty four consecutive patients with leg swelling, 10 male, 14 female with mean age 47 years, range from 13 years to 74 years underwent lymphoscintigraphy. All patients were referred from Department of Plastic Surgery, after initial work-up, and routine investigations to rule out the other causes of leg swelling. Both clinical and scintigraphic staging performed for all patients. All clinically and scintigraphically positive patients treated with decongestive lymphatic therapy (DLT). In addition to the DLT, those patients positive for unilateral or bilateral lymphedema, consented for surgical intervention, nodo venous shunt (NVS) in their only affected or one of the two affected lower limbs. Follow-up lymphoscintigraphy performed in operated cases after 3 months to 6 months of surgery, lymphoscintigraphy images of each patient in pre and post-surgery compared. Results: In 20/24 cases (83%) of clinically positive leg swelling were found to be positive for lymphedema on lymphoscintigraphy and remaining, 4/24 were scintigraphically normal. Based on the clinical and lymphoscintigraphy staging, 03/20 cases (15%) had Grade I lymphedema, 01/20 (5%) Grade II lymphedema, 06/20 (30%) Grade III and remaining 10/20 (50%) had Grade IV lymphedema. 11/20 cases of Lymphedema (55%) were managed conservatively by only DLT and in remaining 09/20 cases (45%), who were case of Grade IV, lymphedema (five patients with unilateral and four patients with bilateral disease) initially treated with DLT, and on completion of DLT, undergone for NVS procedure, in their unilaterally affected lower limb or one of the two diseased lower limbs. 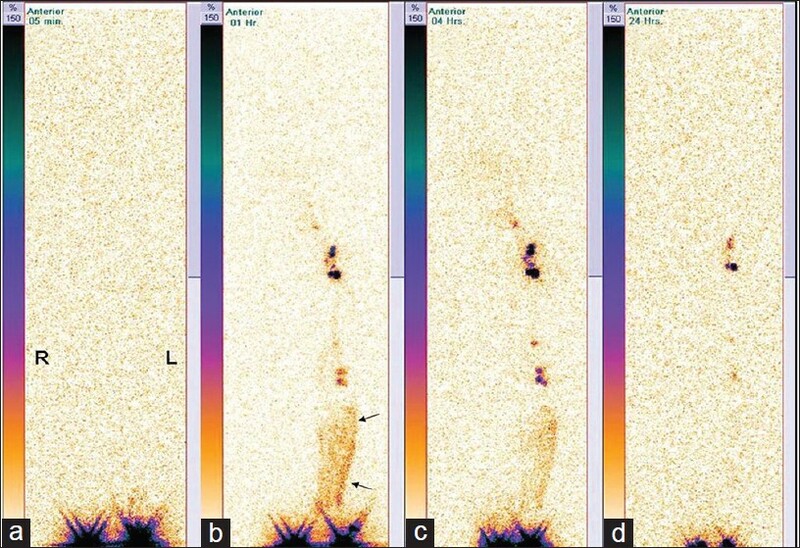 All nine patients showed remarkable clinical improvement in leg swelling and their follow-up lymphoscintigraphy showed normal visualization of lymphatic channels. No patient developed any recurrence. Conclusion: Pre-operative functional evaluation of lymphatic channels using lymphoscintigraphy, is a widely available, simple imaging test and highly useful for documentation of lymphedema in patients with leg swelling of unclear etiology and also for exact localization of inguinal lymph nodes to perform the NVS procedure. Further, it can play important role for follow-up of patients receiving DLT or DLT with surgical intervention that provides early relief from clinical symptoms. Aim: This study is aimed to evaluate the role of cholescintigraphy in management of acute acalculous cholecystitis. Materials and Methods: A total of thirty two patients who had presented to the surgical out-patient department or referred from in-patient department or intensive care unit between February 2008 and February 2010 were studied. All patients with Ultrasonography abdomen findings of acalculous cholecystitis were included in the study and they underwent cholescintigraphy. Gall bladder ejection fraction (GBEF) was calculated 30 min after fatty meal. Patients who either had non-visualization of gall bladder or GBEF less than 40% were considered to have acalculous cholecystitis on cholescintigraphy. The patients were followed-up for a period of 3 months after the commencement of treatment. Results: Eleven patients had either non-visualization of gall bladder or GBEF < 40%. Of these, six patients underwent cholecystectomy and the rest were medically managed, as patients deferred surgery. 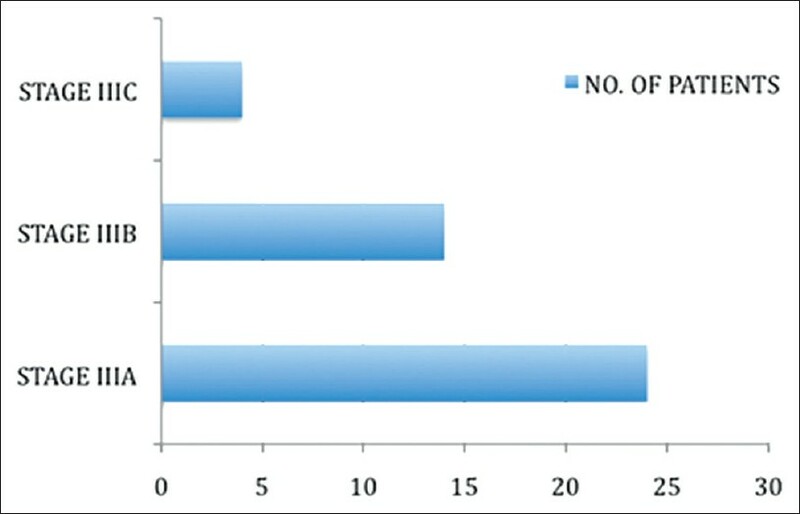 83.33% of post-cholecystectomy patients as against 40% of medically treated patients were symptom free. 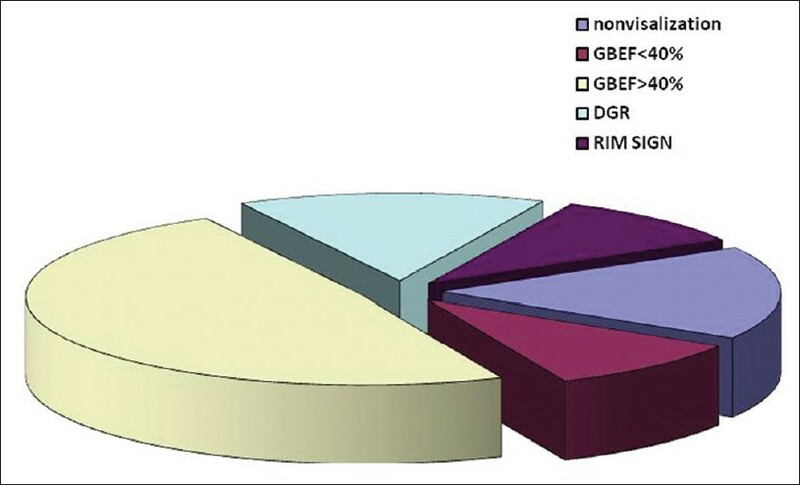 Twenty one patients had GBEF > 40%, 90.74% of these patients were symptom free at the end of 3 months, with medical management. Conclusion: Cholescintigraphy is an important adjunct in management of patients with acalculous cholecystitis by guiding the course of therapy-surgical management versus medical management. Context: Radiation therapy is the prime treatment modality against various cancers. However, its use is limited due to the effects of radiation on normal tissues. Aims: In view of this, present study was carried out to evaluate the radioprotective potential of Rutin (RUT) and Quercetin (QRT) in Swiss Albino mice exposed to the whole body gamma radiation. To gain insight into the mechanism of action, RUT and QRT were tested for its antioxidant levels in mice. 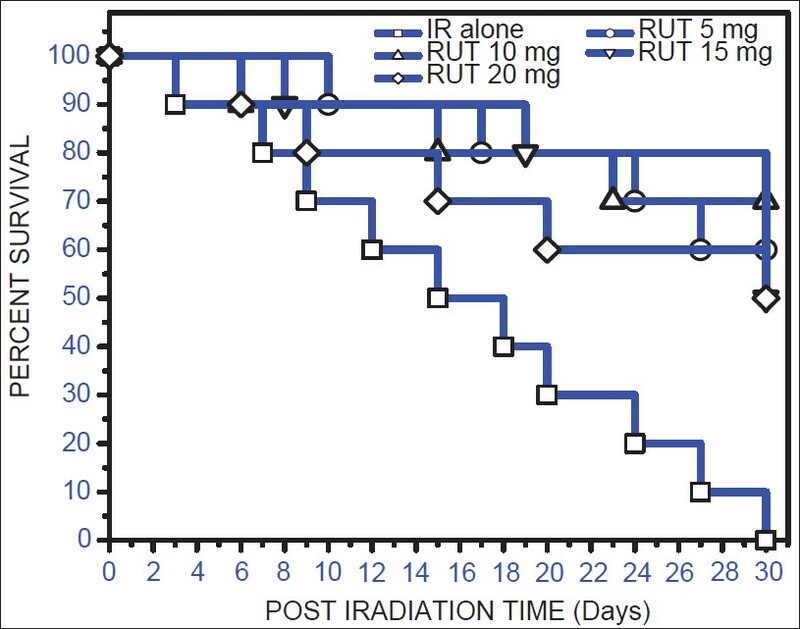 Settings and Designs: Optimum protective dose of RUT and QRT against radiation induced animal mortality was selected by administration of various doses of the RUT and QRT before 10 Gy gamma irradiation. Materials and Methods: Swiss Albino mice were used for the assessment of radiation induced sickness along with the survival analysis and anti-oxidative properties of RUT and QRT. Statistical Analysis Used: Survival studies were determined using the Kaplan-Meier survival curves. Results: The maximum survival was observed with 10 mg/kg. b. wt. and 20 mg/kg. b. wt. of RUT and QRT respectively, this dose was considered as an optimal dose for radioprotection. Treatment of mice with RUT and QRT before irradiation delayed the onset of mortality as compared with the untreated irradiated controls. The oral administration of RUT and QRT resulted in an increase in the radiation tolerance and the dose reduction factor was found to be 1.15 and 1.11 respectively. RUT and QRT pre-treatment significantly (P < 0.01) elevated levels of reduced glutathione, glutathione-S-transferase, catalase, Superoxide dismutase, and a decreased lipid peroxidation in mouse liver homogenate at 24 h after exposure to 4.5 Gy. Conclusions: Present findings demonstrate the potential of RUT and QRT in mitigating radiation-induced mortality, which may be attributed to the elevation in the antioxidant status, anti-lipid peroxidative potential. Context: Radiolabelled metaiodobenzylguanidine (MIBG) is commonly used for imaging of neuroendocrine tumors (NETs). The hybrid imaging with single photon emission computerized tomography/computerized tomography (SPECT/CT) co-registration can give that additional edge to this functional imaging modality. 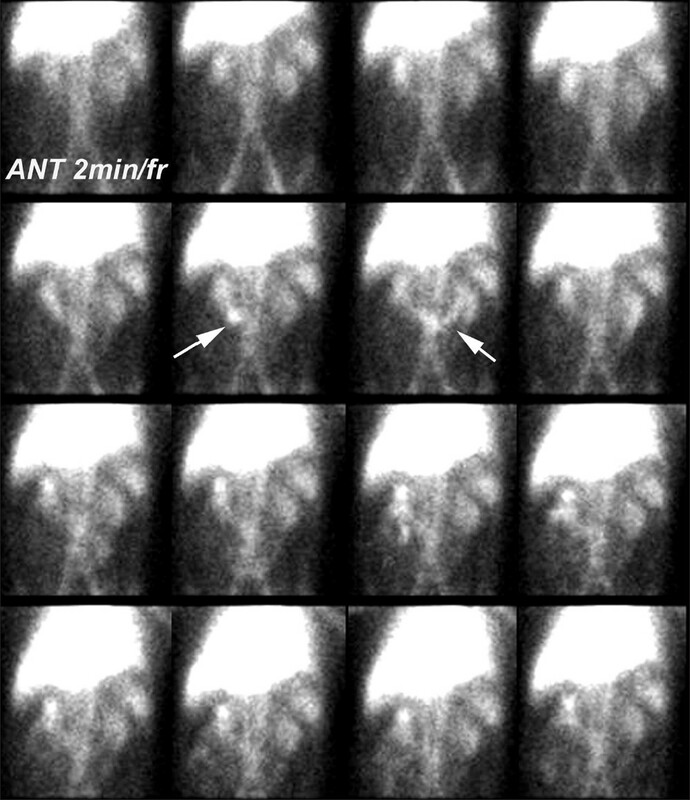 Aims: To study the additional value of 131 I-MIBG SPECT/CT scintigraphy in evaluation of NETs. Settings and Design: We performed a retrospective study of the scintigraphic data of patients referred to our department for detection and follow-up of NETs from 2004 to 2008. Materials and Methods: Total number of studies were 370. Twenty-eight patients with equivocal findings on planar imaging had undergone additional SPECT/CT imaging. The contribution made by SPECT/CT imaging in these studies was analyzed. Results: In 27 of 28 cases, SPECT/CT provided vital additional information. Conclusions: We concluded that SPECT/CT co-registration helps in exclusion, identification, and localization of primary and metastatic NETs. It differentiates physiological from pathological tracer distribution. It helps increase the confidence in reporting, especially in equivocal findings on planar imaging. Complex regional pain syndrome (CRPS) is usually associated with trauma. Rarely, it may be seen in association with malignancies. We present here the bone scan and X-ray findings in the case of a 56-year-male-patient with adenocarcinoma lung who also had non-traumatic CRPS without involvement of the stellate ganglion. 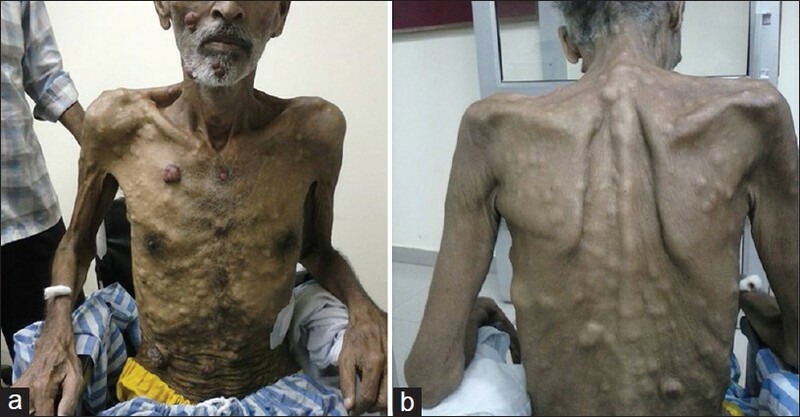 The case highlights the fact that spontaneous development of reflex sympathetic dystrophy may be associated with a neoplastic etiology. 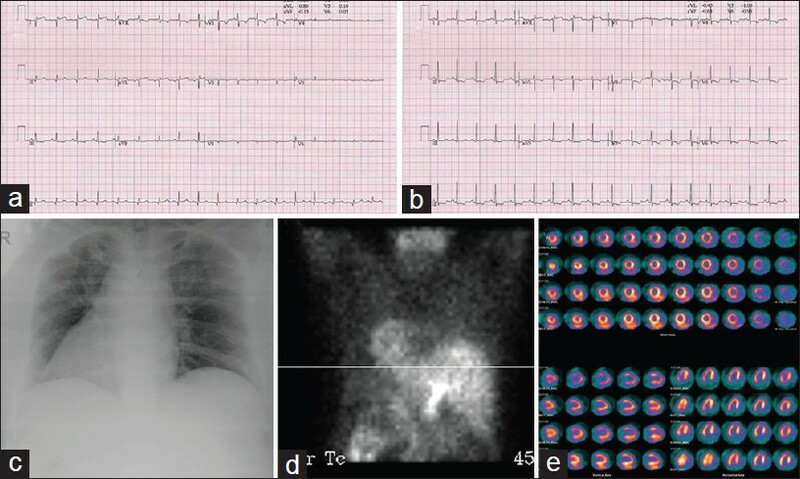 We present the challenges in performing the stress test and acquisition of images in myocardial scintigraphy in a 54-year-old female patient with dextrocardia. 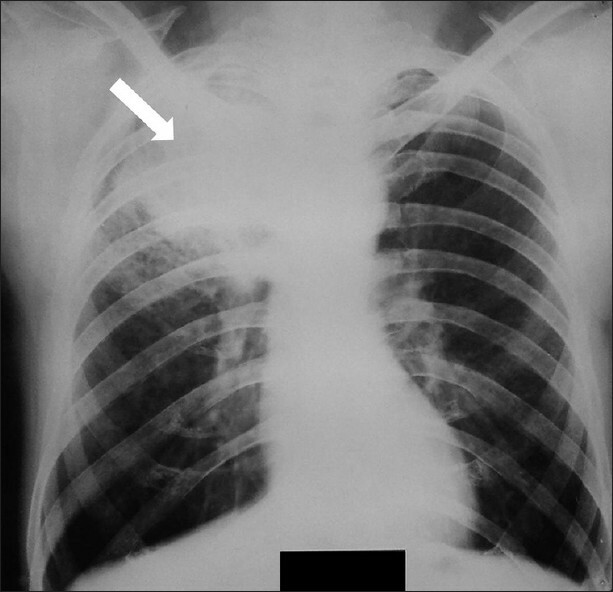 Dextrocardia and situs inversus were documented on prior investigations including a chest roentgenogram and sonography. Ectopic thyroid tissue an uncommon condition results from abnormal migration of the primitive thyroid bud. This may be the only functional thyroid. Ectopic thyroid tissue may sometimes coexist with the eutopic thyroid gland. Hyperthyroidism in association with ectopic thyroid tissue is very uncommon. 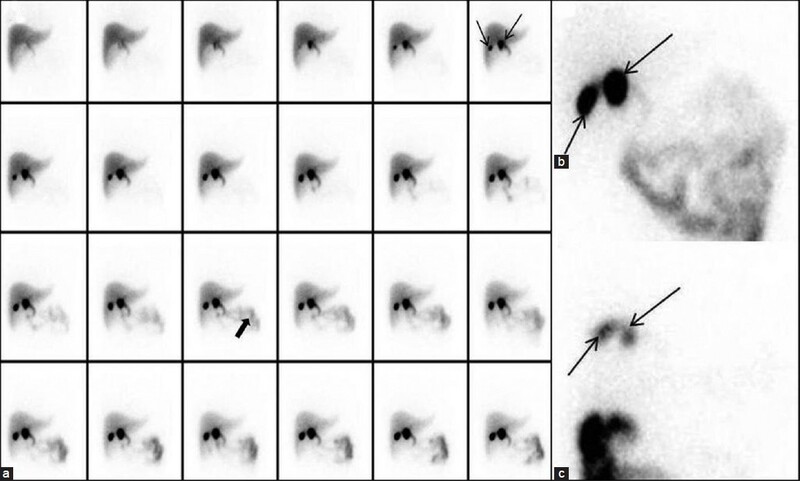 We report a rare case of simultaneous involvement of ectopic and eutopic thyroid tissue in a married women of 35 years who was referred to our department for a technetium 99m thyroid scan. Coexisting ectopic and eutopic thyroid tissue due to identical histology may have similar response to various stimulatory and inhibitory factors like hormones and immunoglobulin's. Iodine-131 is an easy to administer and effective treatment for patients with simultaneous Graves' disease in the ectopic and eutopic thyroid tissues. Though the hepatobiliary excretion of Technetium-99m ethylene dicysteine (99mTc-EC) is very low and usually does not effect image interpretation on routine posterior imaging, the possibility of visualization of the gall bladder should be kept in mind while reporting the 99mTc-EC scan especially, when anterior imaging is performed as in renal transplant patients. Distant metastases in squamous cell carcinoma of the larynx have an incidence of 6.5-7.2% and most commonly involves the lungs, liver, and bone. Metastases to the skin are very rare, but, when present, they are usually considered a poor prognostic sign. This most often affect the supradiaphragmatic area, i.e., the head, neck, thorax, or upper extremities. 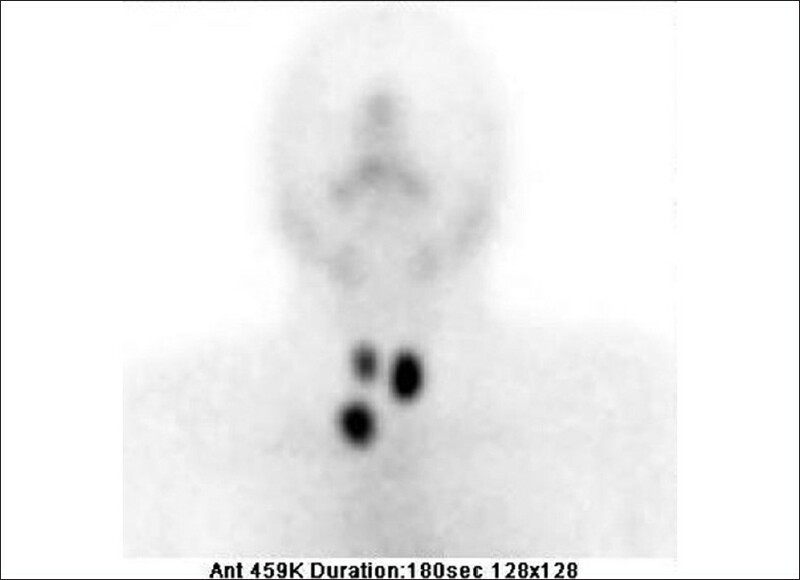 We have reported 18F-fluorodeoxyglucose positron emission tomography computed tomography (FDG PET/CT) scan of a patient with squamous cell carcinoma of the larynx showing multiple subcutaneous nodules all over the body, which was helpful in the assessment as well as staging of the disease. 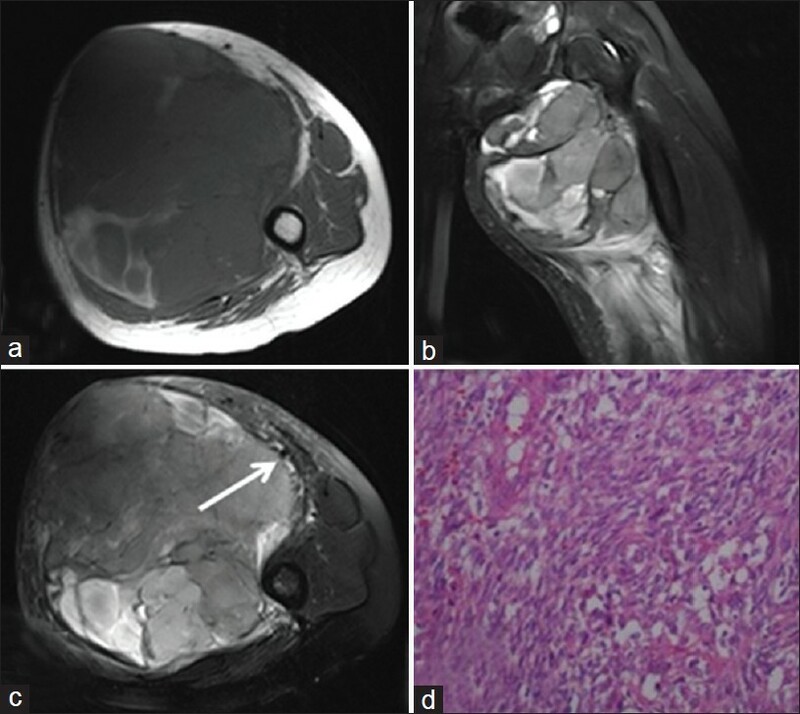 Detection of recurrence of tumors with conventional imaging like computed tomography (CT) and magnetic resonance imaging (MRI) can be difficult because of distorted anatomy and implants in situ. 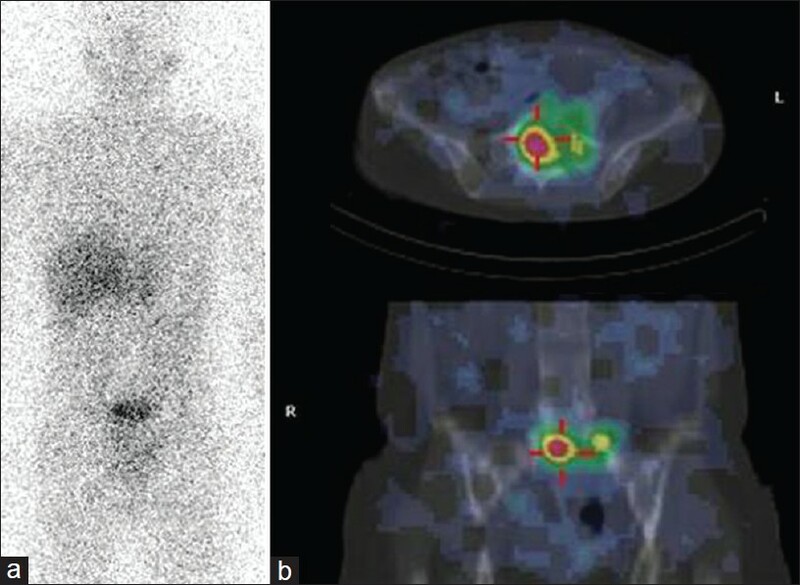 Fluorine-18 fluorodeoxyglucose positron emission tomography/computed tomography (F-18 FDG PET/CT has been shown to be very useful in detection of recurrent tumors with higher accuracy than conventional imaging method. Giant cell tumors of foot though rare have high recurrence potential after initial curative treatment. However, currently there is no literature addressing the role of F-18 FDG PET/CT in evaluation of these tumors. 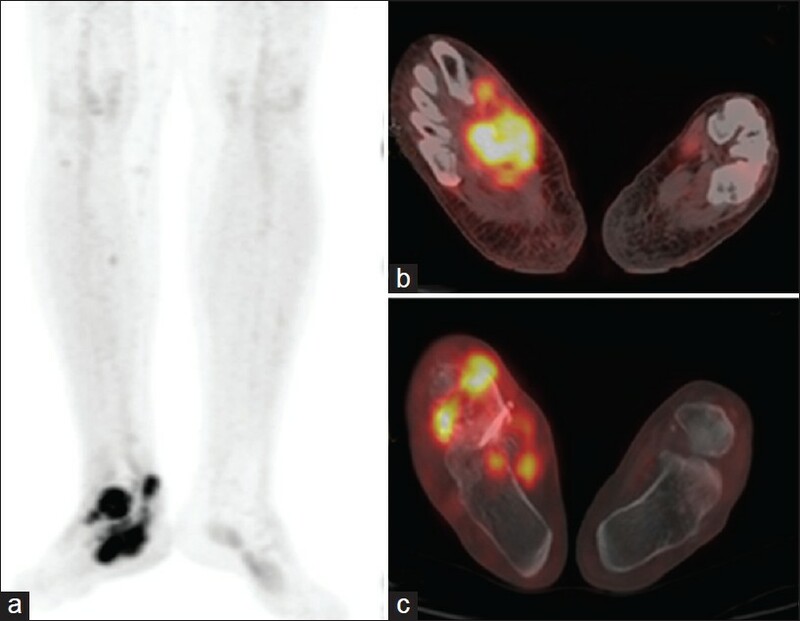 We report a case of post excisional recurrent giant cell tumor of foot diagnosed on F-18 FDG PET/CT. In addition, to detection of recurrence F-18 FDG PET/CT also aided in accurate management of the patient. Unexpected findings are seen on FDG PET/CT outside the primary site of abnormality. Such incidental findings are common in the genitourinary tract due to normal urinary excretion of FDG. We report a case of incidentally detected grade 3 cystocele in a patient who underwent FDG PET/CT study for a suspected lung malignancy. The role of 99m-technetium labeled red blood cell (RBC) scintigraphy in acute gastro-intestinal bleed is well-established. The authors report a case of a bleeding gastrointestinal stromal tumor (GIST) incidentally discovered on Tc-99m RBC scintigraphy.